HomeDay in the Life: Disaster Action Team, 4:00 a.m. – 7:00 a.m.
Day in the Life: Disaster Action Team, 4:00 a.m. – 7:00 a.m. It was early in the morning when Jack and Linda got the call. The sun wasn’t even out yet but The Breys were ready to leap into action. An overnight house fire had left a Santa Maria family of four without a home. Thankfully everyone made it out alive, but one family member had to go to the hospital. Jack and Linda got dressed, grabbed their supplies, and headed to the hospital to meet the family. Like many others on the Red Cross Disaster Action Team (DAT), the Breys are retired and were looking for ways to give back. “We enjoy the feeling that we make a difference and can help people in our community,” they said. DAT members stand ready 24 hours a day, seven days a week to assist families that are facing emergencies like home fires. In Central California, that means DAT is responding an average of every 17 hours. Jack and Linda arrived at the hospital where staff focused their attention on the injured family member. The Breys saw an immediate need to comfort the family’s youngest members. Jack and Linda worked with the family into the early morning hours providing not only comfort, but financial assistance to get them through the next few days and resources to help them start over. When the Breys left the hospital at 7:00 a.m. the warm rays of the morning sun were finally starting to peek over the hills – a fitting symbol for the fresh start they were able to give to a family in need. DAT responders like the Breys are part of the more than 90% volunteer workforce that provides humanitarian service in the Central California Region. The Red Cross thanks and honors these selfless and compassionate every day heroes during National Volunteer Week, April 12-18. Click here to learn more about the “Day in the Life of a Volunteer” series. 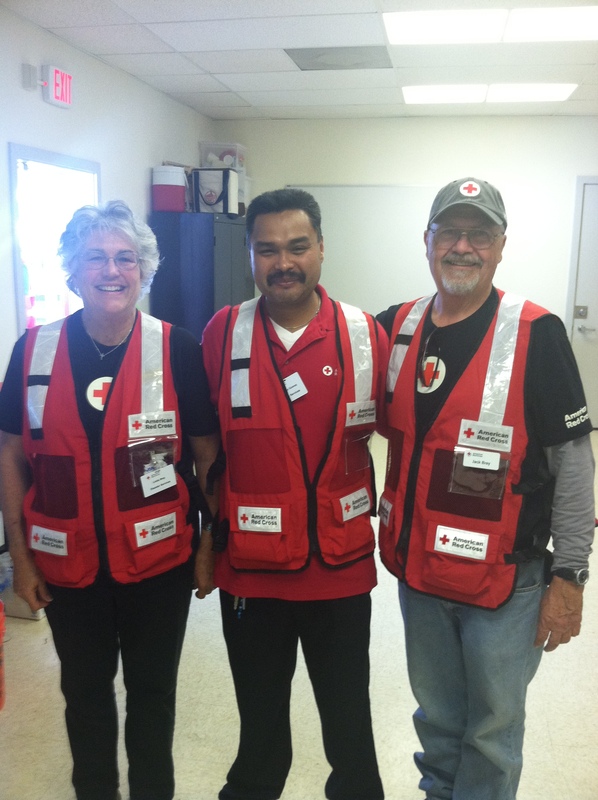 ← Welcome to the new Red Cross Central California Region Blog!